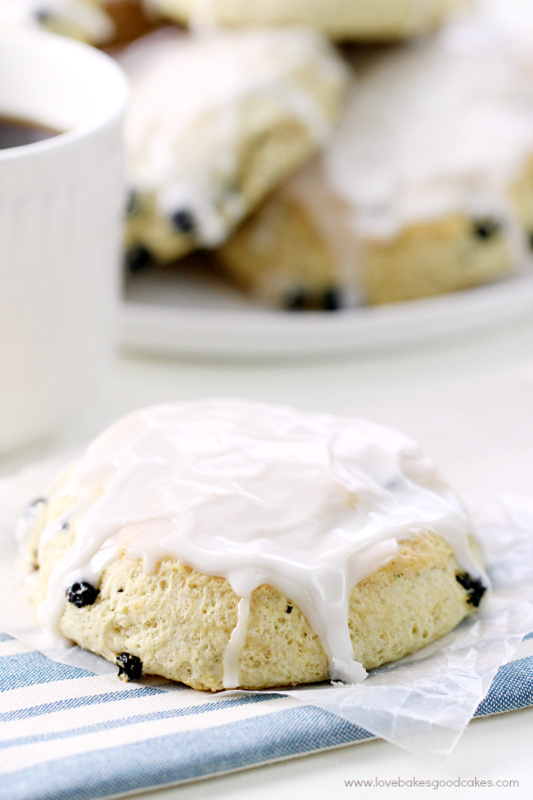 These Iced Blueberry Scones make the perfect accompaniment to breakfast! If you follow me on Instagram, then you probably saw pictures of my trip to J.M. Smucker’s in Orrville, Ohio last week! I had so much fun and I ate way too much yummy food! Seriously, way too much food! If you’re ever in the area, you need to check it out and be sure to stop at The J.M. Smucker Co. Company Store and Café. 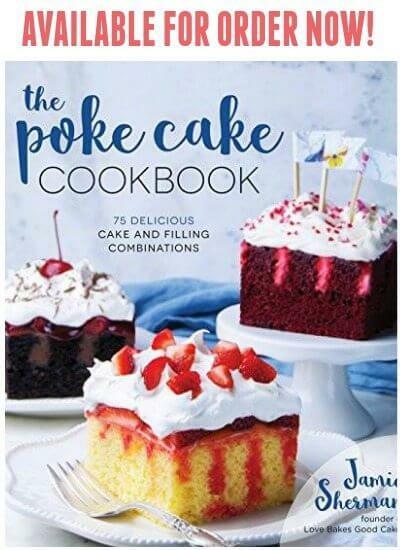 They have soooo many great gift ideas, things for the home and of course, tons of food products! You may remember my recent posts for Triple Berry Ooey Gooey Butter Cake and Blueberry Lemon Crumb Coffee Cake. One of our new favorite things in the Love Bakes Good Cakes house is the Smucker’s Fruit and Honey Fruit Spreads – and we’re particularly fond of the Blueberry Lemon flavor! I really want to find some new ways to use the open jar of Blueberry Lemon Fruit and Honey Fruit Spread so I can open the jar of Tropical Fruit and Honey Fruit Spread! It’s all about priorities, ya know?! 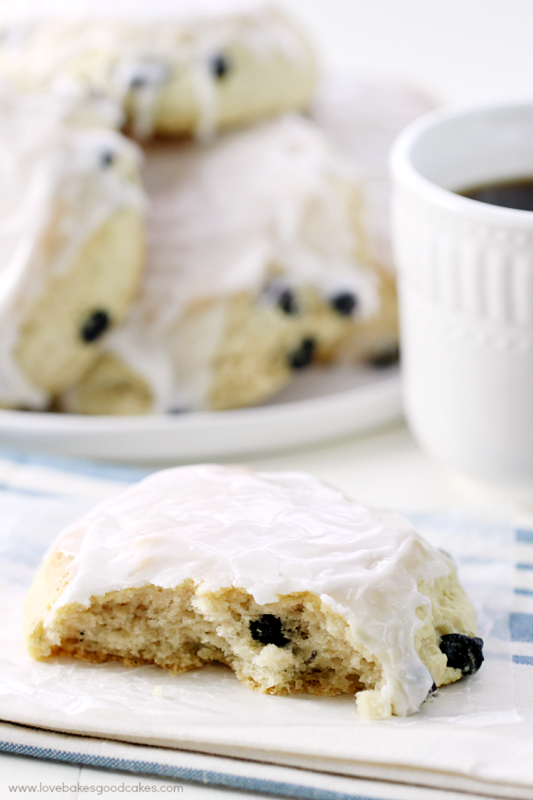 I decided to make these Iced Blueberry Scones for breakfast this past weekend after picking the kiddos up in California and I figured if there was any of the Blueberry Lemon Fruit and Honey Fruit Spread leftover, I would make an awesome vinaigrette with it like I saw in the test kitchen when I visited Ohio! 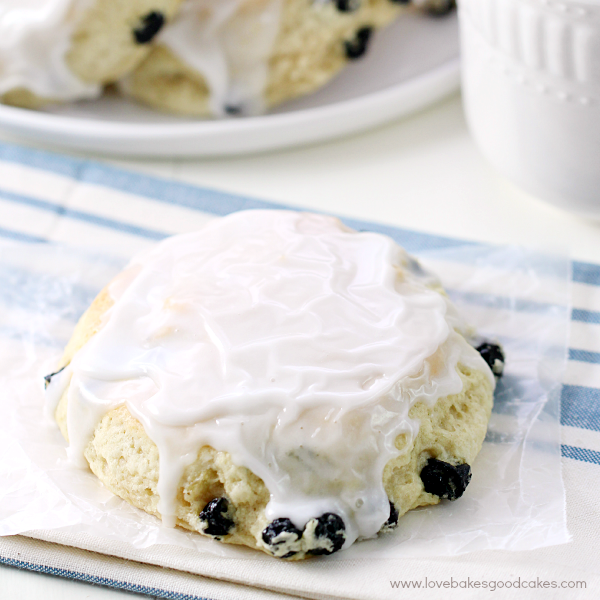 Of course, these Iced Blueberry Scones are just as great with some homemade lemon curd or plain, just like this! In a large bowl, combine the flour, sugar, baking powder, baking soda, and salt. Add vanilla extract. With a pastry blender, cut in butter until mixture resembles coarse crumbs. 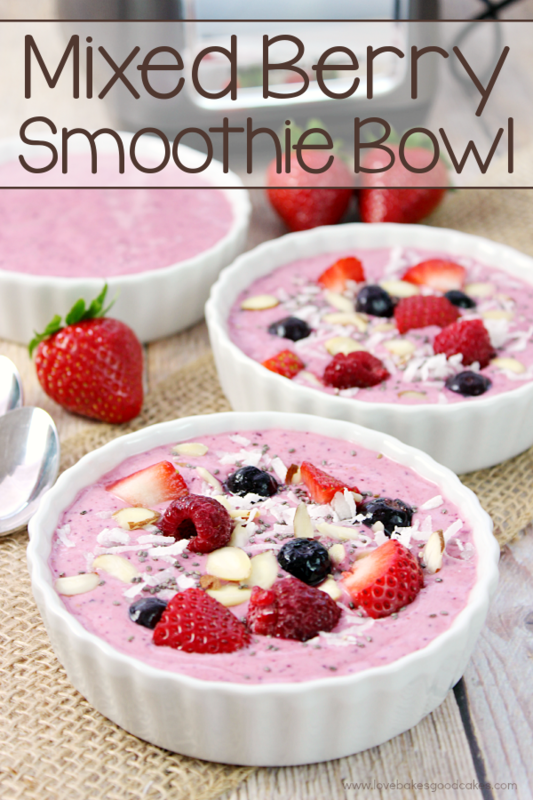 Stir in blueberries and buttermilk, stirring just until dry ingredients are moistened. Turn dough out onto a lightly floured surface and knead 6-8 times. Roll or pat dough out until about ¾-inch thick. Cut with a 3-inch biscuit cutter and place scones 2-inches apart on a Silpat or parchment-lined baking sheet. Bake 20-25 minutes or until scones are lightly browned and cooked through. For the glaze: combine the powdered sugar and milk in a medium bowl. Whisk until smooth and well combined. Drizzle or brush the glaze over the hot scones. I had no idea that existed in Ohio, I live nearby in PA so will have to plan a trip sometime! Your scones look amazing too! Where do you find the dried blueberries at in the store?? Can I tell you that I am SOOOOO jealous that you went to Smucker's? I bet that was amazing! 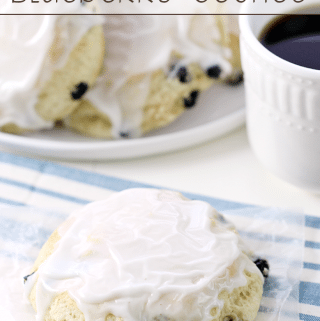 Just as awesome as these delicious scones – yummy! Oh man, I need to go to Smuckers! What a fun experience! These scones look lovely! 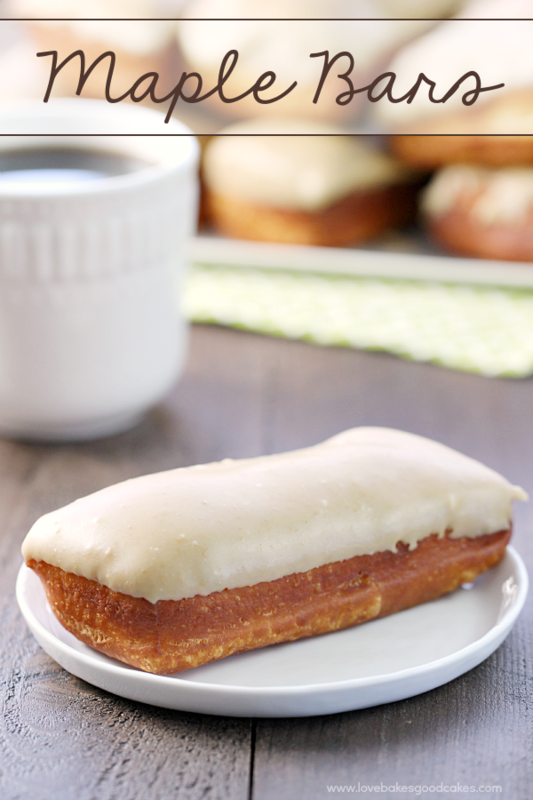 Our favorite combo for sweet treats is also lemon/blueberry ! Would have loved one of your scones for brunch right now ! 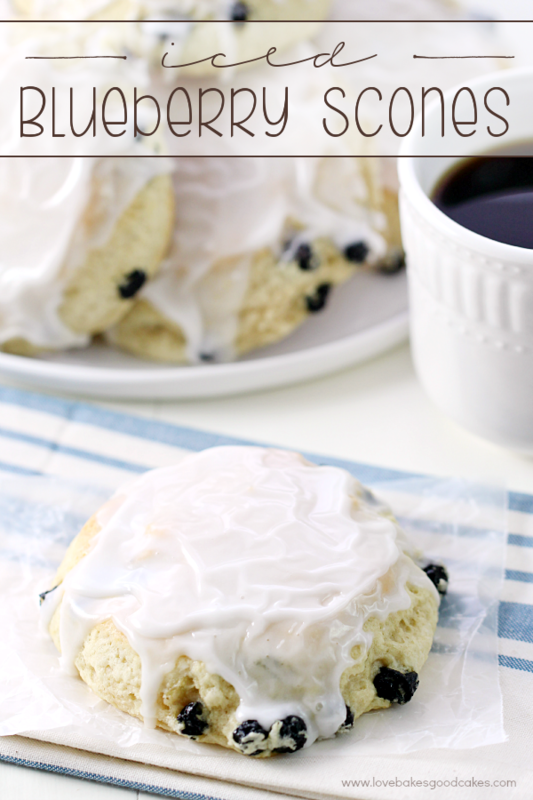 Blueberry is on of my favorite flavors and love the fact you put them in scones!! So jealous of your trip to Smuckers!! That place must rock! Looks like you had so much fun at Smuckers! 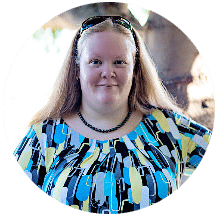 We will really enjoy your Blueberry Scones.Thanks so much for sharing with Full Plate Thursday and have a great weekend!